Dr. Blake attached are a set of photos showing my legs before and after using the pneumatic sleeve. 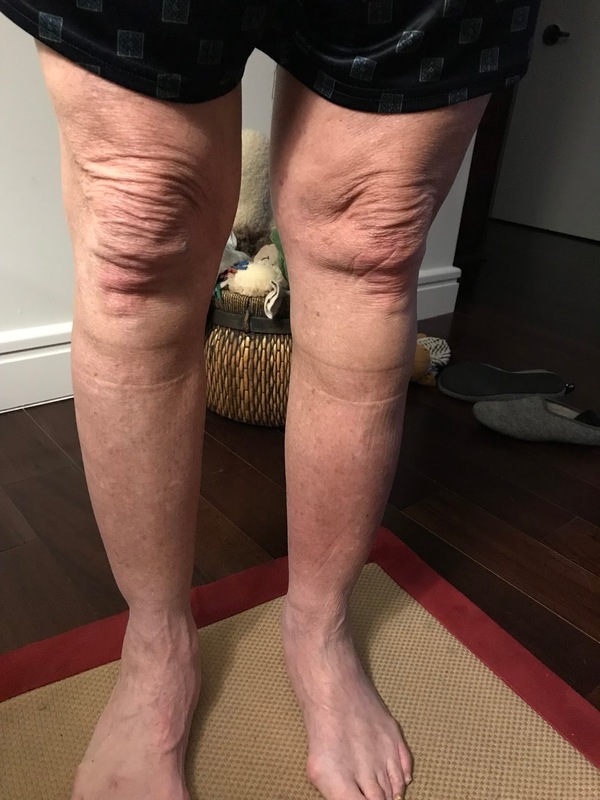 The after is pretty much the way my legs after every use. However, there are times when my legs are quite a bit more swollen than is portrayed by this photo. If you would like additional photos.